Rupert Murdoch is bidding for the 61% of Sky his company does not already own [Image: Al Bello/Getty Images]. 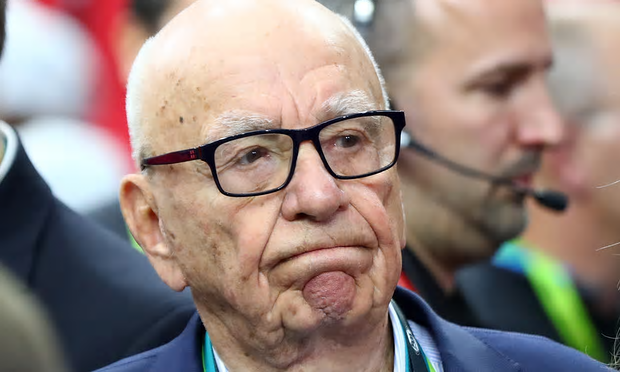 The former Labour leader Ed Miliband is leading a campaign for the media regulator Ofcom to launch a full inquiry into Rupert Murdoch’s bid for ownership of the satellite broadcaster Sky. In a letter to Sharon White, the chief executive of Ofcom, Miliband is one of several senior cross-party politicians to demand that the regulator carry out a “fit and proper person” test following 21st Century Fox’s bid for the 61% of Sky it does not already own. Ofcom, like many of the other so called Utility watch dogs protecting the public from unfairness, have been found totally wanting when it comes to actually doing a worth whlle job. They may be enjoying regular OTT salaries and fancy titles but for me they are a total waste of space and money. Like many of the Quangos that survived the night of the long knives they feel like a public paid recruiting agency leading on to better and more lucrative things with the very bodies they were supposed to be policing. It is has now crossed the line from being tame and cosy to now bordering on corruptive boys club network. It makes Utility and Service renationalisation look very attractive again because as sure as hell when the robust words that were made at the time each one was flogged off….most recognised political BS when they hear it and just how it would all end up. Watch the biggest space waiting its turn…the NHS. Having seen that Hunt this am on TV defending the public disgrace of his dismantling the NHS I am sure he is leading the same charge for privatisation.